SMi Group are thrilled to have industry expert Sumathi Nambair, provide regulatory and compliance updates on FDA legislation in antibacterial drug development at the 19th annual 2017 Superbugs & Superdrugs show, returning to Central London on 20th and 21st March. SMi Group are thrilled to have Jeffrey Ulmer, Head of Preclinical Research & Development from GSK, present a keynote at RNA Therapeutics 2017 when it returns to Central London next February. Industry expert Dr John Rex will be presenting a special keynote address on the global crisis of antibiotic resistance at SMi’s Superbugs & Superdrugs congress this fall. SMi Groups 5th annual Cancer Vaccines conference returns to London this autumn to discuss new breakthroughs in cancer vaccine development. SMi Group is thrilled to present the 5th annual Cancer Vaccines conference, taking place on 21st & 22nd September 2016 in Central London, UK. Aimed at an audience of senior scientists and oncology specialists involved in targeted vaccines and drug research, Cancer Vaccines 2016 will aim to provide a perfect platform to discuss pioneering clinical developments and the next generation of cancer immunotherapy. Interview released with US Federal Agency, Biomedical Advanced Research and Development Authority (BARDA), in the run up to SMi’s 18th annual show on antimicrobial resistance. With a focus on pushing financial and collaborative incentives to accelerate clinical success of antibiotic drugs, the agenda for SMi’s 18th annual summit on Superbugs & Superdrugs will spotlight on models for successful partnerships, progressive R&D, strengthening the antibiotic pipeline and pioneering approaches to "smart" antibiotics. 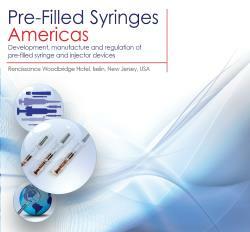 SMi Group reports: 7th annual Pre-Filled-Syringes Conference will be taking place in London, on the 28-29 January 2015. SMi’s event promises to bring together world-renowned experts to present the hottest topics and key challenges faced within the Generics industry today. COPD is not curable and it is under-diagnosed meaning sufferer numbers may be much larger than are recorded currently. COPD cannot be cured, but effective treatment can slow its progress and reduce the numbers of deaths. One of the major focuses of research is attempts to improve patients’ quality of life. Quote "Lab Bulletin" to receive £100 discount!! Quote "Lab Bulletin" to receive £200 discount!